The world has laid the groundwork for a radical shift to a more sustainable future, where innovation will be harnessed to tackle environmental challenges. This means that the use of throwaway plastics will be significantly reduced, and development will no longer cost the earth. 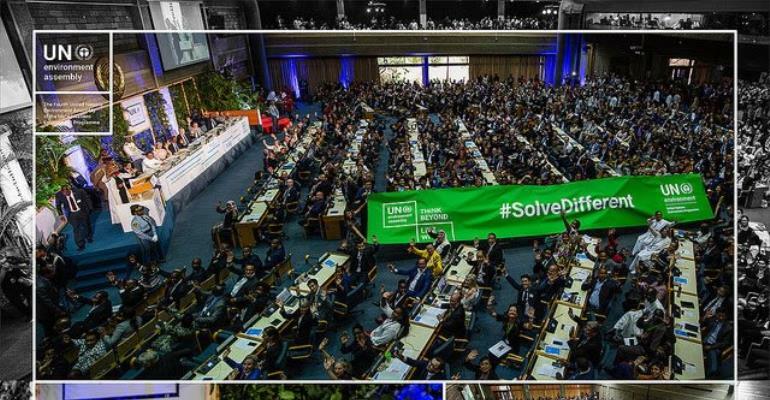 After five days of talks at the Fourth UN Environment Assembly in Nairobi, ministers from more than 170 United Nations Member States delivered a bold blueprint for change , saying the world needed to speed up moves towards a new model of development in order to respect the vision laid out in the Sustainable Development Goals for 2030. During the summit, Antigua and Barbuda, Paraguay and Trinidad and Tobago joined UN Environment’s Clean Seas campaign, bringing the number of countries now involved in the world’s largest alliance for combating marine plastic pollution to 60, including 20 from Latin America and the Caribbean. Meanwhile, the sixth Global Environmental Outlook , seen as the most comprehensive and rigorous assessment on the state of the planet, warned that millions of people could die prematurely from water and air pollution by 2050 unless urgent action is taken. UN Deputy Secretary-General, Amina Mohammed, who attended the summit on Thursday, said action on unsustainable resource use was no longer a choice, but a necessity.